Rummy is difficult to define exactly due to Rummy actually being a family of card games where the main aim of the is to produce sets or runs in order to produce melded hands. See our Rummy Dictionary for definitions of the various terms that are associated with the game. It's very much a skill based game and in order to be a proficient and successful player, some learning of basic strategy is required to continually play well. The games all follow a distinct pattern although each have slightly different rules and soring mechanisms. The most common, and best known, of all rummy games is Gin Rummy although when you download rummy, you can also play Traditional Rummy, Oklahoma Rummy and Kaluki Rummy. It's worth reading the rules of one of the rummy variants if you are unsure of how the games work. Reading one set of rules will give you an indication of how all of the Rummy variants are played. Of course, with the advent of online Rummy, especially with the resources available at Rummy Online, you can now play any time of the day or night over the internet, either for free or real money. 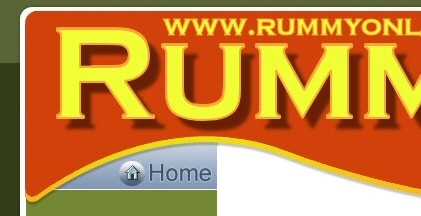 Download Rummy to find out more and also to see exactly why Rummy is the World's third most popular suite of games.